Summertime in Paris has gained a reputation for being a bit of an alternative reality, with its slowdown in business as usual and heady culture of long summer days and nights. One major part of that culture, of course, is summer festivals-- and in Paris there are a constant stream of these. From rock festivals and semi-improvised street music performances to open-air theatre and cinema, there's little excuse for remaining indoors during the clement months in Paris. Without further ado, here are our picks for the most stimulating and entertaining summer festivals in the French capital. This three-day rock festival takes place every year at the vast grassy expanse known as the Domaine National de St. Cloud just outside the city limits, attracting thousands of people, whether ardent fans or summer dabblers. You can buy tickets for all three days or for just one or two. Rock en Seine remains Paris' most coveted summer music festival. La Fête de la Musique is a lively street music festival held every June 21st in Paris​ and is one of the year's most popular events in the city of light. Hundreds of musicians gather in the streets, bars, and cafes of Paris, regaling crowds with free performances of everything from jazz and rock to hip-hop and electronic music. Launched in 2002, Paris Beach (or "Paris Plages" in French) is a free summer event that transforms several spots in Paris into full-fledged beaches, each with a distinct theme. The brainchild of former Paris Mayor Bertrand Delanoe, well-known for launching ambitious municipal events, Paris Plages has become a permanent fixture in the Parisian summertime scene. 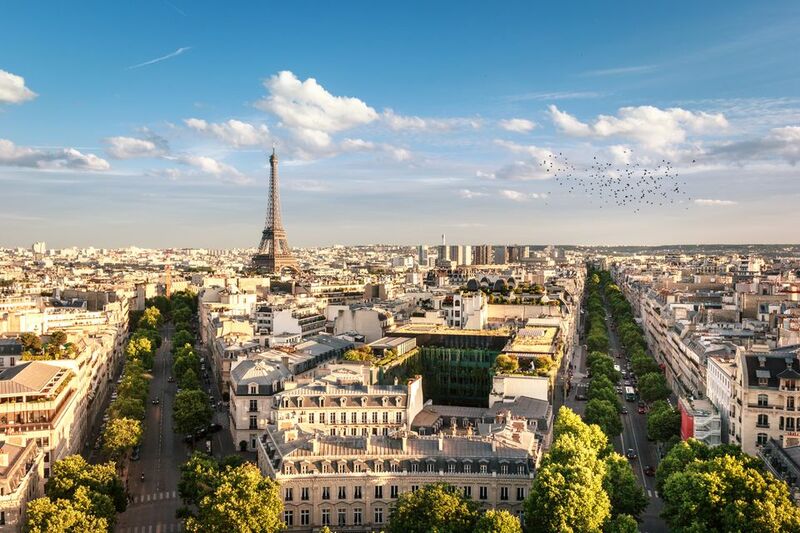 From sunning in the sand to swimming in pools suspended over the Seine, kayaking, or enjoying a free evening concert, Paris Plages offers activities that both kids and adults will enjoy. Every July 14th, France celebrates its "Fete Nationale"-- Bastille Day, marking the beginning of the French Revolution with the storming of the Bastille prison. Today it's a cheerful affair comprising fireworks, firemen putting on campy shows at their stations, and more fun that's decidedly "a la francaise". Don't miss out on some of the year's liveliest festivities. The month-long Paris Summer Arts Festival overtakes the streets of the city with (mostly free) dance, music, theater, and circus performances from artists living and working around the globe. The 2019 Paris l'Eté festival will run between July 12th and August 3rd. Check back soon for program details. Held at the picturesque "Floral Park" in the heart of the Bois de Vincennes wood east of Paris, the annual Paris Jazz Festival brings together noteworthy jazz musicians from around the world for two weeks worth of day and evening shows. Spectators tend to enjoy picnics on the lush lawn overlooking the stage. The festival generally takes place in late June through part of July. Check the official website for updates on the 2019 program and to buy tickets. One way to get away from the urban grind of central Paris and indulge in some culture and fresh air is to visit the outdoor theater at the Jardin Shakespeare in Paris's verdant Bois de Boulogne (Boulogne Wood). Each year, generally starting in May and through late September or early October, the open-air theater hosts a slate of plays, dance and musical performances. The program, generally composed of classics from the Bard himself (sometimes in English) and French thespians like Molière, is always varied and generally includes at least one or two events-- such as dance and music programs-- suitable for kids. Every summer, Parisians traipse to the ultramodern Parc de la Villette in northern Paris with blankets and folding chairs to take advantage of celluloid in the breeze. The open-air cinema, or "cinéma en plein air", is generally free and hosts at least one show each evening for around a month in July and August, with a program chock full of both classics and recent hits. Many of the films are shown in English, too.